With dark forces clouding the political horizon, both domestically and globally, defense of fundamental freedoms has become stridently urgent. While some may prophesy or lament the end time of human rights, the drumbeat of illiberalism requires an even more robust enunciation of the human rights program. Those striving to consolidate greater power in the hands of state executives may seek to swat aside human rights as an annoying manifestation of political correctness, but it is good to remember that the Universal Declaration of Human Rights emerged out of the nadir of European fascism. The response to darkness is not despair, but the bright light of civility and decency, which are conveyed most powerfully by human rights and the ideals that it reflects. At the heart of human rights is respect for the dignity of human beings – without exception. If asked to summarize in briefest terms the purpose of the human rights program, one could probably do no better than respond by stating that the aim of human rights, whether safeguarding immunity from violation or entitling the resources necessary for human flourishing, is respect for and protection of human dignity. The Universal Declaration begins with the words. “Whereas recognition of the inherent dignity…of all members of the human family…” And “dignity” is mentioned seven times as the norm that must be met for the realization of human rights, for both political and economic rights. 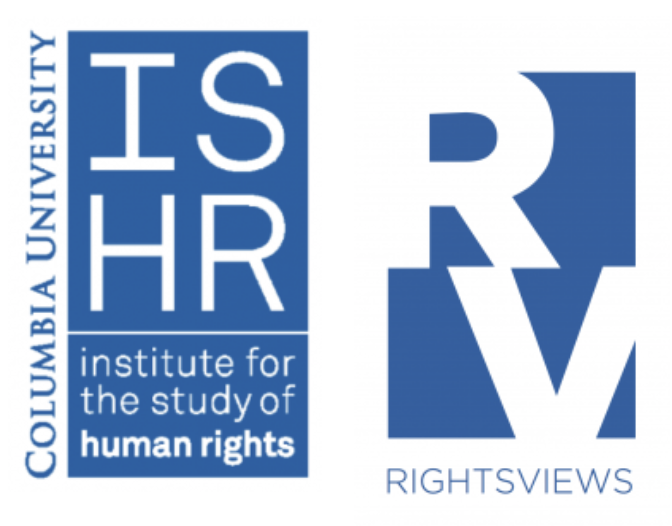 Despite its centrality to the human rights program, there is surprisingly little discussion about the meaning of dignity in the human rights literature. Yet its meaning is contested, and I would argue that some conceptual understandings of dignity are preferable to others, if human rights are to enjoy the strongest protection. There are at least three plausible approaches to dignity: one partially historical, a second, philosophical, a third, cultural. Two recent books, both brief but scholarly in their treatments of dignity, highlight differences. Jeremy Waldron, University Professor of Law at NYU in Dignity, Rank and Rights, argues that dignity, understood as a universal concept, did not start that way. Examination of dignity’s historical genealogy reveals that it has been associated with a person’s social status or bearing. In Roman times, dignity referred to honor, privileges, or deference due to a person issuing from rank or office. According to Waldron, the dignity due a person of high rank underwent a transvaluation in late-eighteenth century romantic poetry, wherein such dignity associated with aristocracy was seen as bogus or superficial, and it was the person of low rank who became dignified. This is but one example of the universalization of the concept of dignity, which underlies its usage today. So, in Waldron’s words, “the modern notion of human dignity involves an upward equalization of rank, so that we may now try to accord to every human being something of the dignity rank, and expectation of respect that was formerly accorded nobility.” In the realm of dignity, we are all aristocrats now. 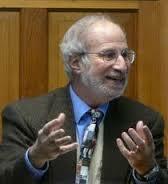 A contrasting view is presented by Harvard Professor of Government, Michael Rosen, in his work, Dignity. Rosen elaborates on the more conventional position that modern notions of dignity can best be traced to the Enlightenment, especially the ethics of Immanuel Kant. For Kant, dignity is an inherent attribute of all human beings exclusively in that we are rational agents. For Kant, ethics and the supreme moral law, the Categorical Imperative, emerges from reason, which in its transcendental freedom postulates moral laws to which human beings choose to be obedient. It is this autonomy which also dictates that the human person is an end-in-himself, whose humanity requires respect. Kant further affirms that all things subject to our use possess a value, which is relative to the one doing the evaluating and to context. But human beings alone possess dignity, which is absolute. For Kant, again, dignity is universal, and has a Platonic resonance that isolates it from questions of social contingency. Dignity is a thoroughly ahistorical concept. Both Waldron and Rosen elaborate with extensive analyses and applications of these variant derivations for dignity – social rank, and transcendent universalism. One might argue that the placement of dignity in the idea of social status and as historically malleable renders it less secure and more open to manipulation as social currents themselves change. Yet I would maintain that grounding the origins of human rights in these two respective approaches makes little practical difference. The Universal Declaration by intent presents no foundation for the human rights it proclaims. The defense of its origins never need rise to the surface. Rather the Universal Declaration affirms a consensus that, once accepted, can find pragmatic application in the world of political strife and struggle. However, there is a third conception of dignity that embeds the notion in a cultural context. As such, it is radically different, and I believe can be erosive of the human rights project, especially in the contemporary environment characterized by increased nationalism, parochialism and a resurgence of group rights articulated within the framework of religio-ethnic particularisms. It is an expression of dignity very much subject to social contingencies. Dignity in this sense can be defined as a felt attribute constructed out of a person’s fittedness to her or his distinctive cultural milieu. It can serve as an index of particularist identity. This understanding is most evident in the relationship of human rights to the religions. In various instantiations of religiously grounded rights, there need not be a contradiction between human rights and religious precepts. The doctrine central to Judaism and Christianity, that the human being is created in the divine image and all people share a kinship as children of God, can corroborate the value of dignity by rendering the human being a sacred component of the cosmic order. But at the same time, divine command as delivered to different faith communities can impose a highly differentiated notion of dignity that undermines its universal character. 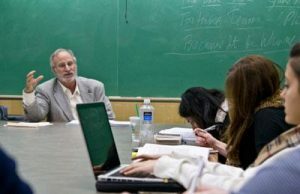 For example, Professor of Religion, David Novak, of the University of Toronto, notes that in Judaism human dignity emerges from the capability of being able to respond to God’s commands. Needless to say this would not do for an atheist or freethinker. But beyond that it suggests that one’s dignity is tied to one’s identity within a specific cultural milieu, for divine command cannot be abstract or devoid of particular substance. Take for example the issue of male circumcision, which periodically become an issue of debate within the human rights community. Defenders of the need to respect dignity as put forward by Waldron and Rosen, might argue that male circumcision is an affront to the dignity of the child undergoing the procedure because it is a violation of his autonomy, is painful and in addition is essentially irreversible. However those relating dignity to the confirmation of identity within a community, and herein a religious community united under divine law, might argue that not to circumcise is a violation of the dignity of the child. It robs the individual of a dignity-informing place as a member of the community, and therefore deprives him of a mainstay of his very identity. Such a culture-bound definition of dignity clearly has its merits and can be argued on its own terms. Yet, from a human rights perspective it may readily feed into a vicious form of cultural relativism and summoned as an argument to defend that relativism, thus undercutting the essential universalism required for human rights to be sustained as such. While remaining sensitive to the complex elements of culture and identity, on balance it is hard to see this as a good thing. We are at an historical moment when reactionary forces are on the march and minority groups suffer greater denigration and too often find themselves the victims of xenophobia and scapegoating. Tragically and paradoxically, the very sensitivity to cultural difference which argues for tolerance has metastasized into a highlighting of difference characterized by fear and hate-mongering. It is time when those committed to human rights need to recommit themselves to the defense of human dignity — as a universal value — wherever it is oppressed or violated, and do so without apology. Joseph Chuman is an adjunct professor of The Institution for the Study of Human Rights at Columbia University. He has taught the introductory course and an elective in Religion and Human Rights since 2001. The International Criminal Court is dedicated by its Rome Statute to share with the UN Charter a commitment to the”individual worth and dignity of every human being.” An important part of this mandate is the Court’s obligation to serve the dignity of atrocity victims by justice which provides redress and redemption to them, through their extensive participation in trials, in the work of offices which serve only them and with reparations in money and services. Chuman’s conclusion that his first two approaches are mutually consistent. The Court’s work in action to sustain human dignity, supported by its 124 States Parties ,answers his call for the defense of dignity at a time when it is especially threatened. Many thanks for your confirming observation. Joe, your writing is erudite as always but I am surprised that you do not mention Adler and Ethical Culture’s concept of intrinsic worth. That is what the contemporary definition of dignity means. I prefer to use the word “dignity” to denote those attributes that are worthy of esteem, such as wisdom, caring and courage. Many contemporary authors argue that “dignity” has become a meaningless, garbage-can term. Ethical Culture has a great answer for that. Let’s use it.